well by now you know that the monkeys of Massive Voodoo are famous for their teaching skills. May it be in one of their wonderful weekend classes or in a small class on a miniature event where they unwrap their knowledge for you. Nothing goes as far as a private coaching in the MV headquarter. While the other classes pump up your learning curve very much, a private coaching makes it explode. 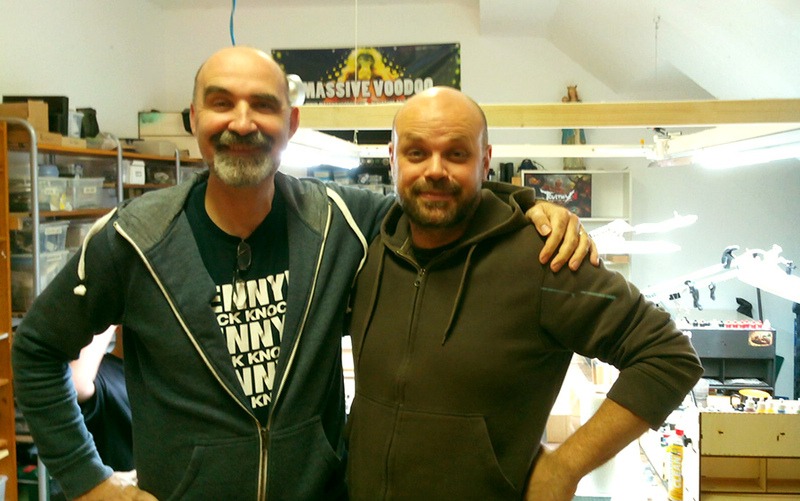 With this in mind Michael from Austria decided to have his private coaching with Massive Voodoo. This time it was only Roman teaching the coaching with Michael as Raffa was on his honeymoon. Roman knows Michael since several years already due some of his MV's Jar's Beginner Classes in Vienna, Austria where Michael always helps organising like mad. - Development of personal painting skill, main subject "realistic Skintone"
Well, what can Roman say as teacher? It was a real cool coaching with Michael. 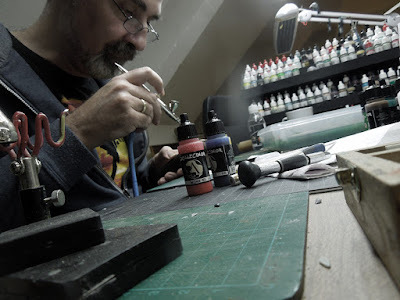 I knew Michael's painting skill and his level and I knew that Michael finds most of his fun in painting miniatures for gaming. 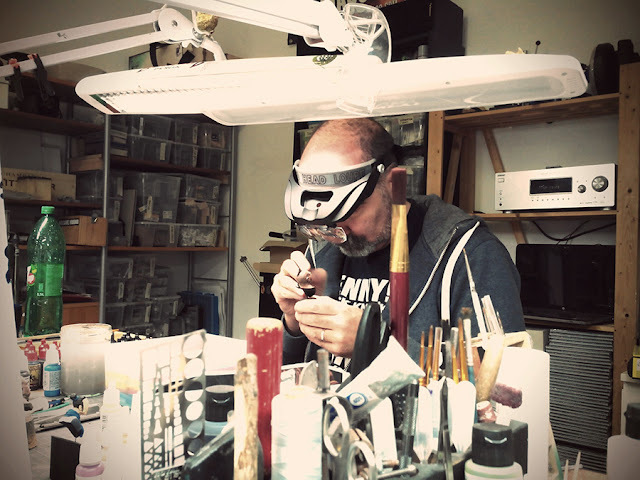 He has his golden rule to only play with painted miniatures and it is always a pleasure to see how much heart he puts in his gaming models. 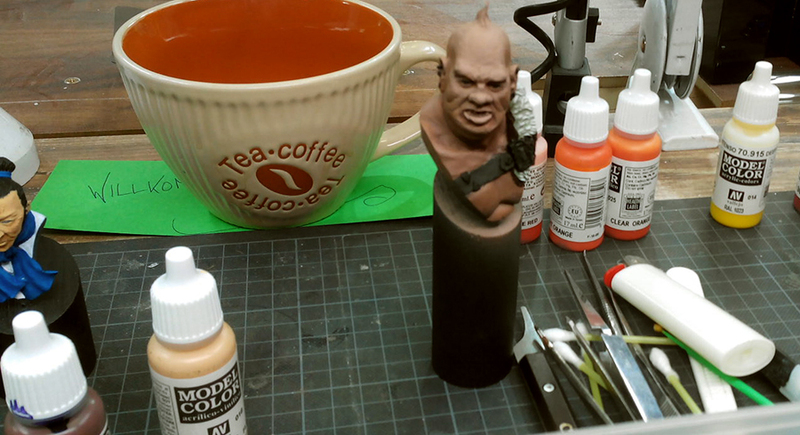 It is always a joy to show Michael a trick or two on how to improve some of his gaming models. Michael and Roman did spent two pretty cool days in an unhurried and cozy MV studio painting athomsphere! We do not like to talk too much on the coachings ourselves, rather let the student tell you his/her impression. Thank you for the write up, Michael! For those of you that don´t like reading the whole review. Let me tell you, it was great! A great experience with a very good friend in a purely relaxing environment. If you ever have the chance to go there, do it! First contact online was done by my wife as this was a birthday present. 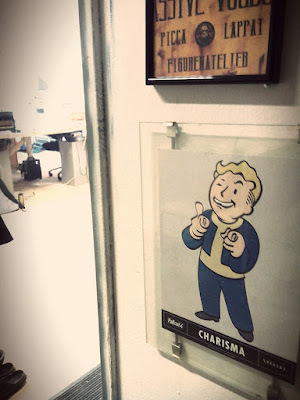 After I received the nice voucher at my birthday, I contacted Roman to fix the date for the workshop. I had a nice conversation about possible topics and decided that one of my “problems” I currently have with painting my minis is getting the skin looking real! I mainly paint minis for gaming, so they are in constant use in Warhammer, Blood Bowl, Mordheim, Warmachine or Hordes games. Waiting for this day to come was quite hard, as I was already nervous months in advance… but patience is something that you have to master yourself. Directly before the workshop I received a notice by Roman, what to bring for the workshop and a reminder on the agreed topic. Therefore, I packed all the material and all the items I took with me as well as the latest painted minis for my Journeyman league in Warmachine/Hordes, just to show some of the problems with my painting. Finally, the day was there, so I drove (the day before) to my parents nearby and had a short rest before driving to the place on Thursday for the planned start at 10 am. The artists quarter wasn´t hard t find, especially if you are originally from the region. The feeling you get when approaching the place is very good, a lot of sound from bands working on their sound as well as many paintings all over the place got me from the beginning. Some obvious arrows with lots of apes pointing upwards showed the way. Roman was already working and so the greeting was warm and open. We sat down and had a cup of Coffee and started chatting about what to come. Then I was introduced to my (very comfortable) working place and was introduced in the basic rules of this workshop. We started the workshop with an introduction into colour theory and removed most of the colours again to start mixing all different kinds of colours by the use of red, blue and yellow! Quite an experience if you are used to choose from many many colours, but by this (after trying this out for quite a while), I am confident to be able to mix any colours I am in need of. 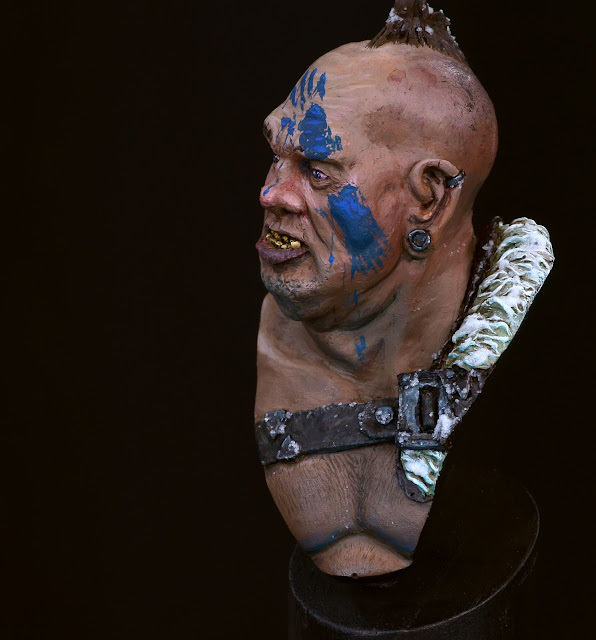 We based the bust (and a additional bust for trying out things) black and then we applied a skin colour mixed by basic colours as a prime version with the airbrush. We added already some darker version from below to give first shadow and highlighted colour from above for zenithally light. Now we were ready working on different topics like Shadows and even deeper shadows and even deeper deeper shadows… the same for the highlights… quite fund and good practice for my patience, as not every colour applied has to be visible instantly! During the following hours (only a short break for some food) we worked concentrated but always in discussion on ideas, possible ways of achieving different looks, colour theory as well as good mood music and some fine jokes. Really, this made the time fly by! I had the chance to meet some more people from the massive voodoo crew and had some nice chat with them. In the evening, we finished around 10 p.m. and decided that our work was already quite more than we expected it to become in the first day, so we planned a little bit additional for the next day. Driving back to my parents and sleeping there including a nice breakfast was a good basis for the coming hours. The workshop started again at 10 am with a cup of coffee and a short discussion about the previous day including some ideas what to do on the second day. The bust was (in my eyes) already looking good, but of course, Roman had some more things to add and change. 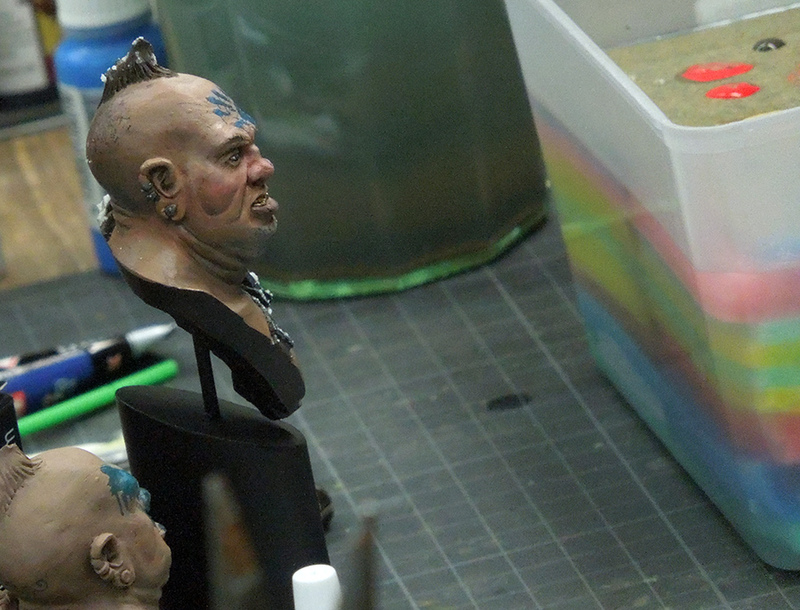 We started with scars and hair and worked through the leather parts as well as the metallic. Highlight of the day seriously was painting the eyes. 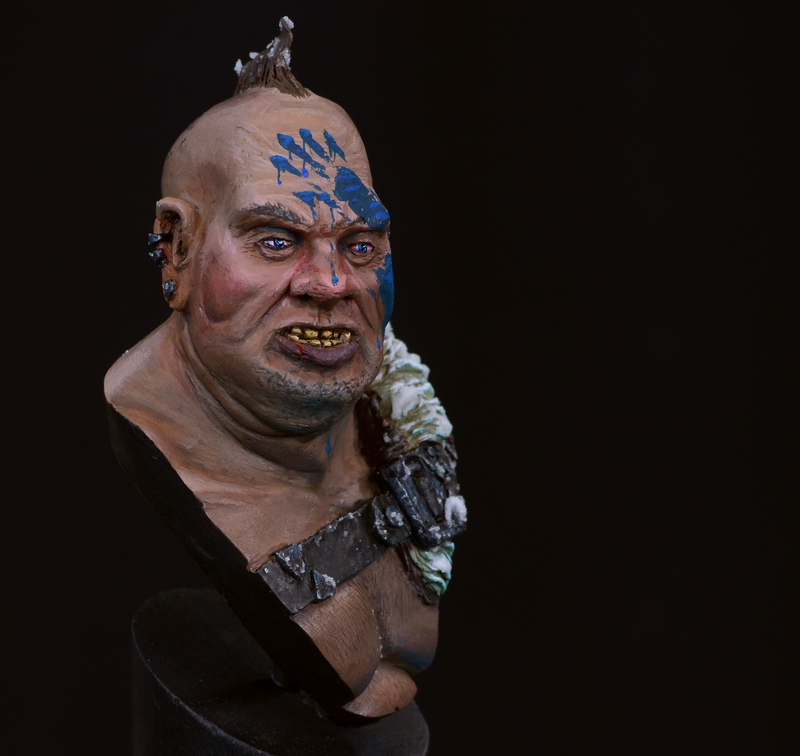 Didn´t believe that I would be able to paint such tiny details into eyes (reflections in reflections… ), but I think I managed well enough to give the bust a good look. Finally, we added some more colour by adding snow on the shoulder and the fur as well as giving the whole model a more cold approach to match the snow on the shoulder. In addition, always when I thought a piece of the model was done, we discussed what could be added or changed and after doing so, it looked better. At noon, some other painters of the group arrived and we painted together and had some good chat from time to time. 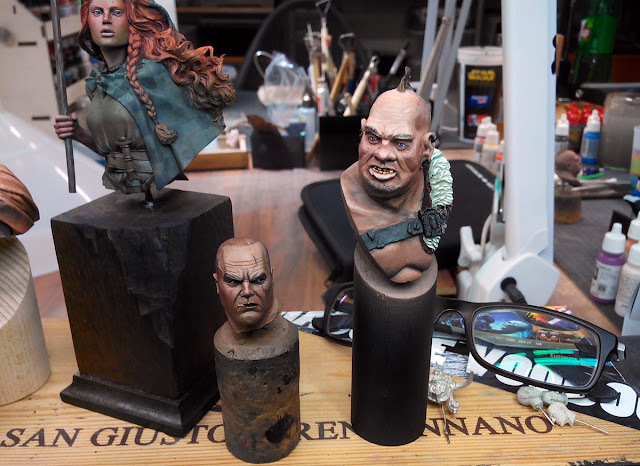 There were some challenges Roman gave me, just to make sure that I practice some ways of painting prior to work on the bust. 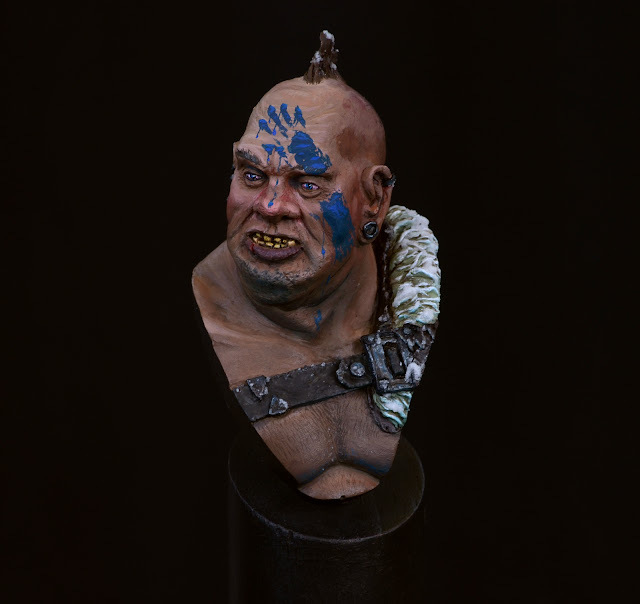 In the very end I ended up with a painted bust, that I am really proud of! I like to look of the bust, I like the painting and know that there are things to still improve if I want. 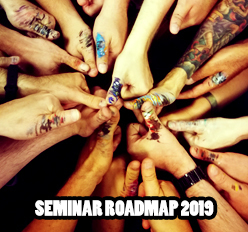 We sat down to have a final discussion about the outcome of the course as well about some other topics (painting workshops in Austria) and in the very end I jumped into the car with all my material and drove very relaxed back to Austria. I think that this is one of the most important things to mention, you need experience!!!! And experience can only be achieved by painting, so I promise to keep on painting not only playing minis, but from time to time also display minis! 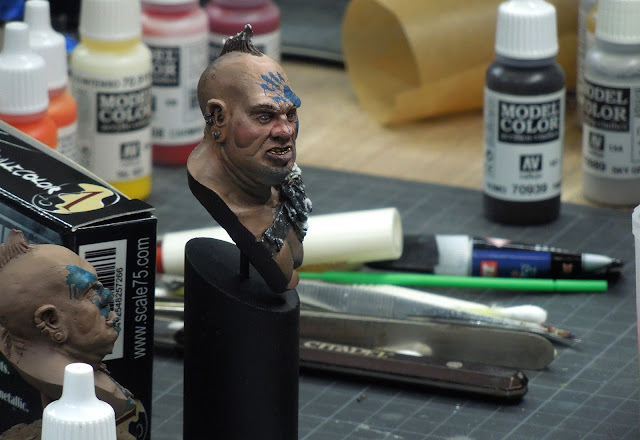 Anyways I am sure that I will be back for another workshop with Roman and the Massive Voodoo team as this for sure has greatly improved my painting style and also my understanding of colours and their usage.